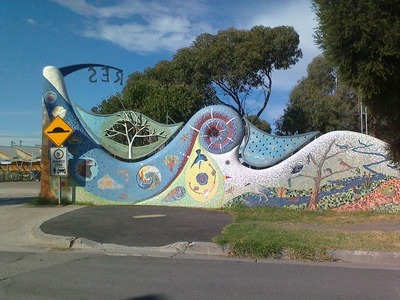 CERES is a Community Environmental Park located in Brunswick East, along the Merri Creek. There are many things to see and do at this unique environmentally friendly and self-sufficient park. Included at this park, are regular educational group visits, such as excursions, workshops and short courses, where you can learn a great number of new skills. There is also a nursery on site which is open from 9am to 5pm everyday, where you can learn how to grow or buy your own plants to improve or start your very own veggie patch. Additionally, there are green technology projects, such as biogas, solar and thermal energy projects. If you are trying to find the ideal room to hire for a work meeting or other group event, well the CERES Van Raay Centre is the answer. With inside and outdoor places available and an updated availability timetable on the web site, this tedious task is made easy. Contact Venue Hire on: (03) 9389 0188 for details and to make arrangements. Additionally, you can visit the Organic Shop where you can purchase your own goodies and even refill your empty washing powder containers with environmentally friendly powder. 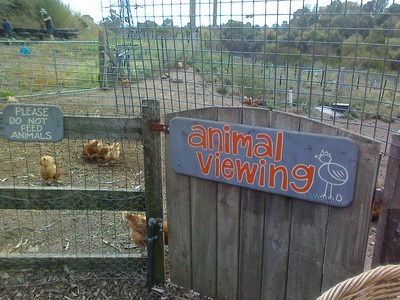 Come down with the kids and let them look at the chickens and other local animal residents in the Animal Viewing section of the urban city farm, next to the market. 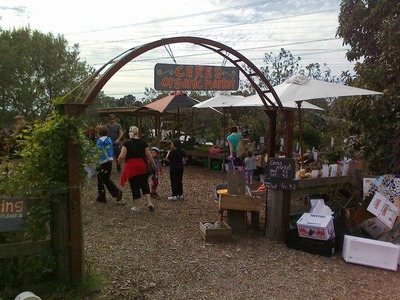 For the market lovers, this unique place is available to purchase organic foods and products every Wednesday and Saturday. The Craft market operates every Saturday. 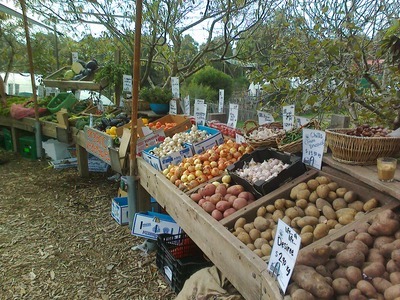 The organic food market mainly consists of produce grown at the park, with all other produce supplied locally. 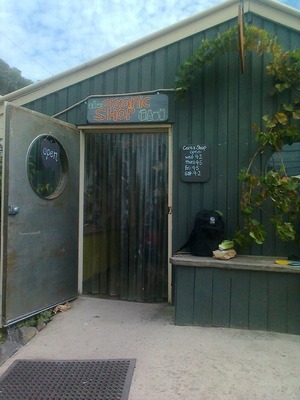 Opening hours for the market and organic shop are now 9am - 5pm 7 days a week. 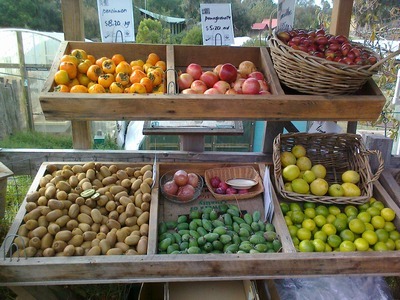 Some of the fruit and vegetables on offer are: watermelon, rock melon, bananas, apples, grapes, kiwi fruit, limes, lemons, broccoli, eggplant, tomatoes, cucumbers, capsicums, onions, potatoes, mushrooms, lettuce, garlic, beans, radish and cabbages. The selection depends on the seasonal availability. With the wide variety of delicious, local produce, you are sure to find what you need to stock up your pantry and feed your family a healthy meal. 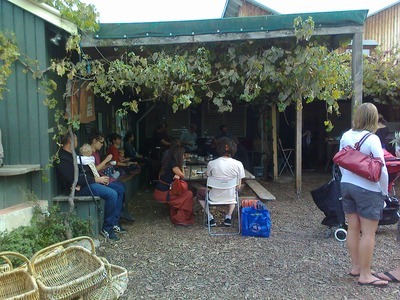 You can sit and relax in the outdoor café area and listen to the live music available on the day. The Craft Market is open every Saturday from 9am until 2pm. You will find a variety of stalls, from pet accessories, to recycled clothing as well as plants and other hand-made items from local makers. If you are interested in having a stall at the Craft Market, it will cost $20.00 for a 3m x 3m space. You need to supply your own tables, chairs and gazebos as this is an outdoor market as there is no protection available on site. Become a member and receive discounts to a variety of CERES activities, discounts on car hire and a constant update of information to keep you in the loop. The prices vary depending on the circumstances, such as single person, family or business. If you would like to work in the park as a volunteer, visit the Volunteer and Employment section of their web site, to find out what positions are currently available. It is a fulfilling and way to spend your time as you are helping the public to learn and appreciate the environment, as well as ensuring the areas is maintained and respected. Why? Free a fun, learning experience for the whole family. They also have a bike shed, where they teach you how to assemble, fix bikes. I'm off there next week. Great article. Bizarre, seeing your article now - cos I was only on the ph to them yesterday. 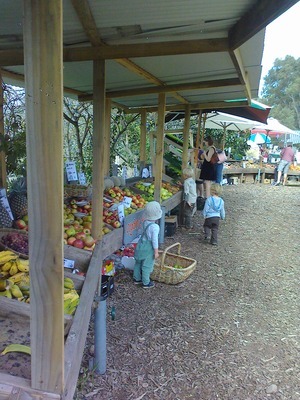 Opening hours for the market and organic shop are now Monday - Friday 9 am - 4 pm, Weekends 9 am - 2 pm. That means 7 days a week! Please update your info.